You won’t be shocked to hear I like the approximates in this recipe. I put way more herbs and seasoning than the original suggestions. I also like my ranch dressing with a little heat, so put a more cayenne and Tabasco than some might like. The result is addictive. It is fresh, and so tasty from the Worcestershire and spices. The white vinegar: an absolute must. The vinegar with the buttermilk and the sour cream create an essential tang. 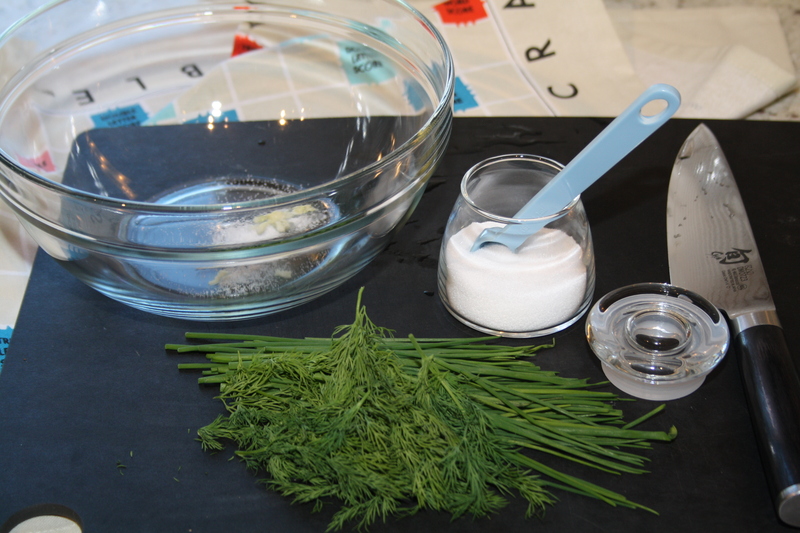 The buttermilk also allows you to play with the consistency of the ranch, depending on what you’re using it for. If I want my ranch to be a dip with fresh veg, I’ll scale the buttermilk back so its a bit thicker. If I want my ranch to go on a salad, I’ll let the buttermilk thin it out. 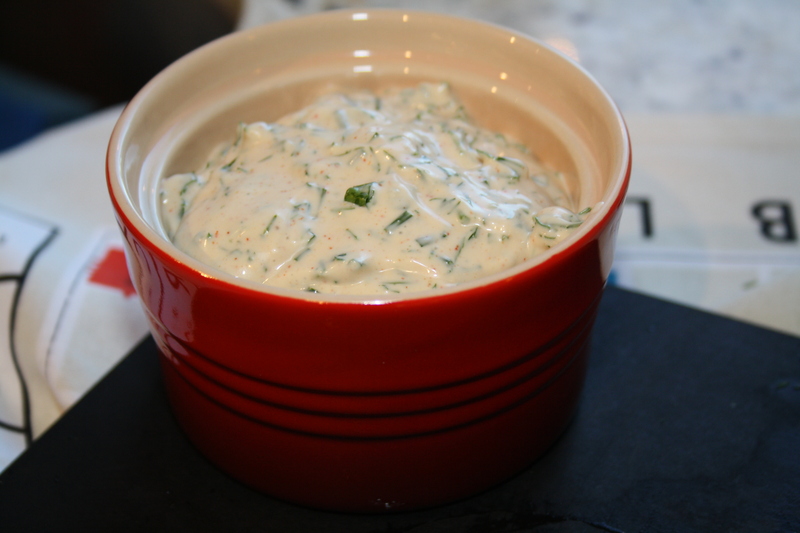 I’ve made this ranch dressing several times for entertaining. If you whip up a bowl and serve with some crisp veggies, all will be happy. 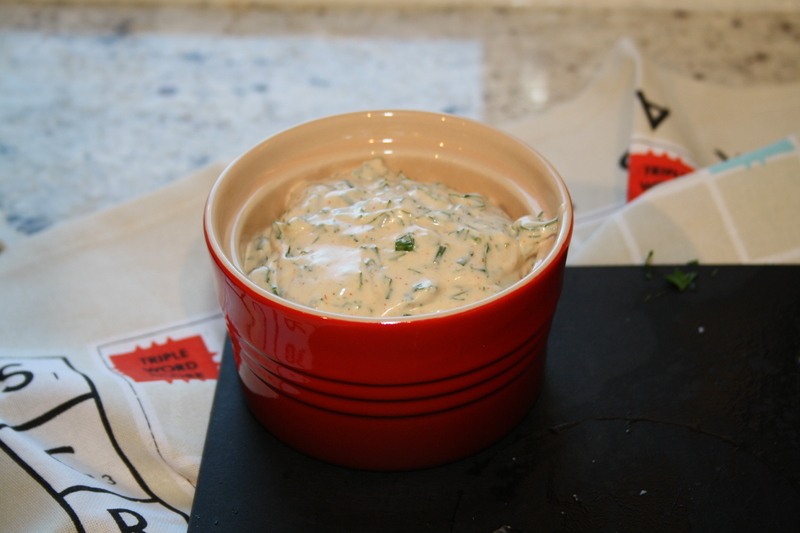 I like serving a warm Brie wheel and jams with this ranch and veg, to contrast the richness of the cheese. This ranch keeps well in the fridge, so Marcus and I also like to take some to work for an easy and health salad, or veggie dip. 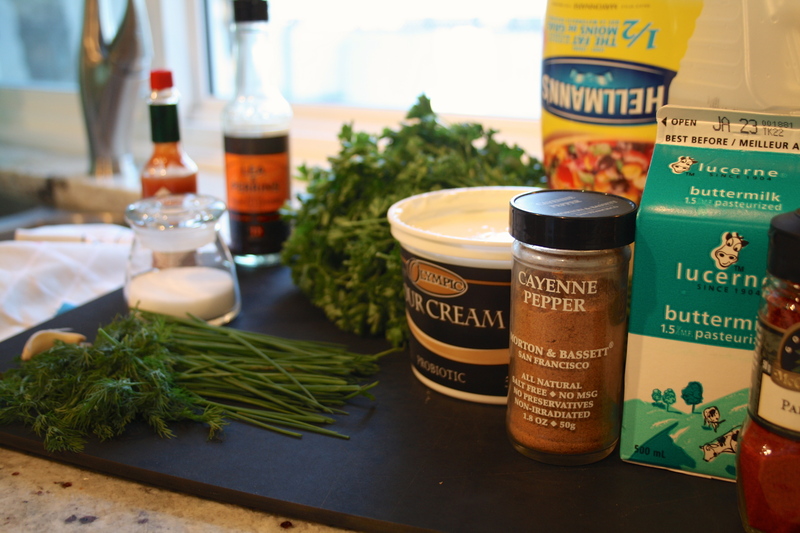 This ranch dressing is super simple to make. And never has tasting as you go been more important. I struggled even coming up with amounts because I’m constantly having a taste to make sure the acidity, spice, texture, and herb works. A sprinkle more of paprika or more vinegar can make a world of difference. I am such a fan of this special ranch. Ranch lovers, rejoice! In a medium bowl, mush together the minced garlic and salt with the back of a spoon. 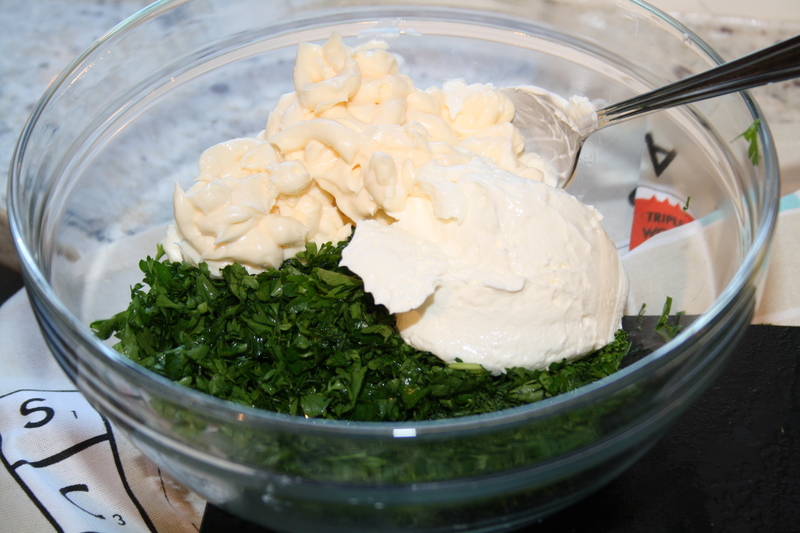 Add the mayonnaise, sour cream, parsley, dill, chives, Worcestershire sauce, black pepper, white vinegar, paprika, cayenne and Tabasco, and give it a really good stir to combine. Add the buttermilk until it reaches a consistency you like, and taste along the way! Adjust seasonings as needed. Refrigerate and use as a salad dressing or dip for veggies.